Toronto – Mister Baxter, the character, has got problems. He’s a lonely man, though a driven high school teacher, but his biggest problem is that he’s having a nervous breakdown and he thinks he’s going to lose his job because of inappropriate contact with a student. Mister Baxter, the play, has also got problems. It’s just an ok play, though well-staged, but its biggest problem is that the scenes without the title character aren’t nearly as strong as the ones with him. Mister Baxter has three settings: a subway platform where Mister Baxter speaks to a high school student, a bedroom where a married couple argue about the course of their lives, and the inside of a subway car where one of Mr. Baxter’s students travels with his girlfriend. Each gets about the same amount of “screen time,” and as the three stories move along, the audience gradually discovers how they’re interconnected. You can see the climax coming well in advance, but find yourself hoping that it doesn’t happen. It’s a good show, but when the spotlight shifts from Mr. Baxter, the quality dips noticeably. The married couple are ok, but rely a little too much on TV drama clichés about adultery and miscarriages rather than feeling like fleshed-out characters. Still, their part of the story dovetails well with Mr. Baxter’s and comes to a satisfying conclusion. The two high school kids in the subway car, on the other hand, seem like they’re largely there just to describe prior events in Mr. Baxter’s story, rather than having a story of their own. The characters are paper-thin, and the play would probably be better if their parts were just eliminated entirely. It is staged pretty effectively and the dramatic tension builds nicely. The potential is there for a great show, but it needs some work. Mister Baxter plays at Venue 10. Check your Fringe program or the online play listings for showtimes. Toronto – Steph (Mel Marginet) and Stewart (Matthew TenBruggencate) are a recently married couple. They dated, they got married, they went on their honeymoon, and when they came back, they found out that everyone who came to their wedding reception was dead. Oddly enough, this is actually a very funny show. As you can imagine, Steph and Stewart are not particularly happy people. They tell the story of their relationship, their engagement, and wedding while dancing around what happened at the reception, occasionally pausing when Steph gets too worked up. To prevent her from having an anxiety attack, Stewart has her close her eyes and think of household objects (“think of a pencil. A blue pencil. Think of a clothespin, but the wooden kind, not the plastic ones,” etc.). Eventually they reveal what happened, how they were totally out of touch when the story hit the news, and missed all the funerals by the time they got back from the honeymoon. Their pain and guilt is heartbreaking, but somehow Marginet and especially TenBruggencate manage to keep it light throughout most of the show. They’re funny and charming, really a couple you’d be happy to know, even as they talk about how they represent death. It doesn’t sound funny, but somehow they manage it. The dialogue is very good, the plot really does a nice job answering the question of what it would be like if all your friends and family suddenly died at the same time, the simple staging works well, but the interplay between the two actors is what really makes it work. Very nice piece from Winnipeg’s Theatre by the River. One Good Marriage plays at Venue 3. Check your Fringe program or the online play listings for showtimes. 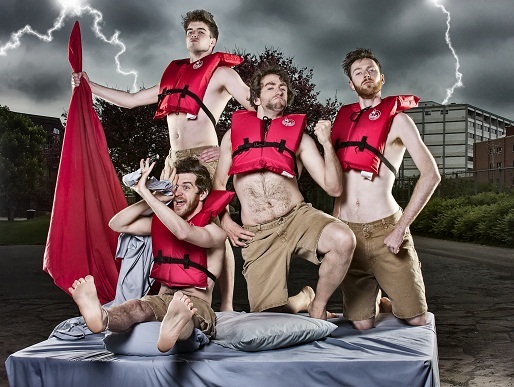 Toronto – It’s probably no small thing to win the “Just For Laughs Best Comedy Award” at the Montreal Fringe, which improv troupe Uncalled For’s Hypnogogic Logic did last year. I mean, Just for Laughs does the Just for Laughs festival. And those rarely funny TV standup shows. And Just For Laughs Gags, which is actually not very funny at…hmm. Anyway, Uncalled For are very funny indeed, and Hypnogogic Logic proves it in a series of oddball sketches from inside somebody’s not-quite-asleep mind. This is hypnogogia, the state of mind you enter in when you’re about to fall asleep, and it’s a setup that gives Uncalled For the excuse to fire off a series of truly bizarre sketches. Not every sketch is howlingly funny, but Uncalled For rolls between them effortlessly with the polish of a skilled, seasoned troupe. The best are a post-apocalyptic cooking show where the contestants have to use ingredients like cockroaches and guano or be banished to the radioactive mutant zone, a street preacher who claims that all life’s answers can be found in the dictionary, and the hard-boiled officers of the “Falling Wish Foundation,” who refuse wishes for money and love but grant a wish to bring Freddie Mercury back to life. It’s great sketch comedy and well worth a look. You might want to try and get advance tickets; their first show was a near sellout and they’re getting great reviews. Uncalled For presents: Hypnogogic Logic plays at Venue 3. Check your Fringe program or the online play listings for showtimes. Toronto – Whatever else one might say about The Sparrow and the Mouse: Creating the Music of Edith Piaf, this much is true: performer Melanie Gall has a wonderful singing voice. In the original French or in English translation, Gall does great things with Edith Piaf songs like “Je Ne Regrette Rien”and “La Vie en Rose.” An opera singer by trade who’s performed in countries all over the world, Gall’s singing is worth the price of admission. The play she’s written around the songs, however…well, it’s not as good. Gall plays Simone Berteault, Piaf’s closest friend and half-sister, and describes Piaf’s life, from her humble beginnings to international stardom. The problem is, while Piaf’s life story is pretty amazing, Gall delivers it as if she’s reading Piaf’s Wikipedia article aloud. It’s just not compelling theatre. The only person on stage aside from pianist Erin Craig, Gall acts out different parts of Piaf’s life between songs, like holding a doll and acting like Piaf’s mom, pretending to be Piaf on the streets, miming a mother/doll scene again when Piaf gives birth. Sometimes while she does this, Gall’s recorded voice continues the life story narration while she does things silently. This seems unnecessary, since Gall doesn’t do that much during these scenes and could probably handle both duties at once, and it’s occasionally awkward when Gall’s live voice and recorded voice step on each other’s lines. Gall’s singing saves it from being that bad, though. While Craig’s piano sounds a bit tinny in the big hall of Bathurst Street Theatre, Gall’s voice fills up the room, without amplification. If you have any fondness for Piaf or opera singing, it might be worth seeing, but otherwise this is probably a miss. The Sparrow and the Mouse plays at Venue 3. 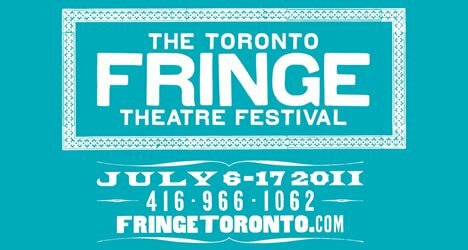 Check your Fringe program or the online play listings for showtimes.